The model codes for the Wi-Fi models of the 2018 iPad Pro will be iPad8,1, iPad8,2, iPad8,5 and iPad8,6. Meanwhile, the cellular-capable models will be iPad8,3, iPad8,4 and iPad8,7 and iPad8,8. This means there will be two Wi-Fi models in both size options, and two LTE models in both size options. The new iPad Pros will have an edge-to-edge display and will not feature a Home button, much like the iPhone. Unlike the iPhone, however, the iPad Pro will not have a notch. Even though the new 2018 iPad Pro models will sport thinner bezels, those bezels will still be wide enough to accommodate the TrueDepth camera system necessary for Face ID. With its USB-C port, the 2018 iPad Pro will be able to output 4K HDR video to external displays. To accommodate this feature, there will be a new panel in the settings app where users will be able to control resolution, HDR, brightness and other settings for connected external displays. A new version of the Apple Pencil will be released for the 2018 iPad Pro, sources tell us. The new Apple Pencil will be paired with iPad Pro by proximity, much like AirPods or HomePod. Switching between devices will be possible without connecting the Apple Pencil to the charging port. It’s unclear whether the current model of Apple Pencil will work with the new iPad. The new iPad Pro will have a brand new connector for accessories. 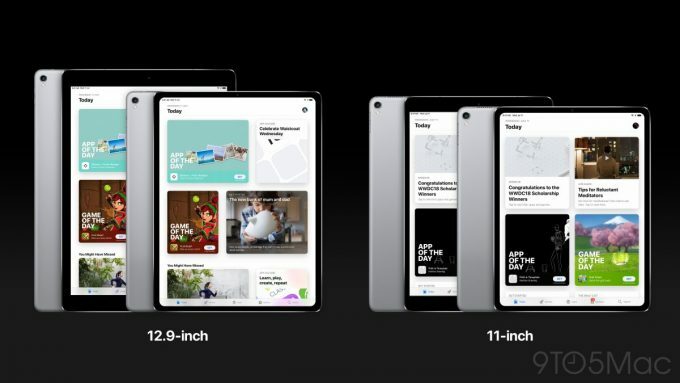 The Magnetic Connector will be at the back of the iPad and will allow for the connection of different accessories, such as a new version of the Smart Keyboard and other third-party accessories.